Born at Winnipeg on 14 February 1913, son of William Harold Frazer and Edith Elizabeth Reynolds, he was raised at Beulah. He returned to Winnipeg to study at the University of Manitoba, receiving BSc (1934) and BEd (1935) degrees. 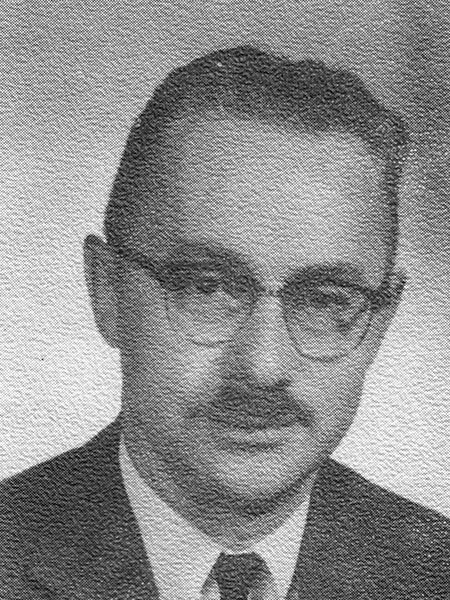 He taught at Maple Leaf Collegiate from 1935 to 1939 then moved to Brandon where he taught at the Brandon Collegiate, serving as its Vice-Principal and Principal (1960-1966). He returned to the classroom at Harrison High School, serving from 1966 to retirement in 1973. In 1939, he married Dorothy Jean Gregory (c1912-1990) and they had two children. He was a Mason (Fenwich Lodge) and a member of the Brandon Teachers’ Association (President and Life Member). He died at Brandon on 19 March 1998 and was buried in the Rosewood Memorial Gardens. Obituary [Dorothy Jean Frazer], Winnipeg Free Press, 2 October 1990, page 28. Obituary, Winnipeg Free Press, 25 March 1998, page 34. Obituary, Brandon Sun, 25 March 1998, page 28.